Tarini sorted and organized the cube of the trinomial into their different colors before putting it back together! By sorting the colors first, she was able to put it away in an orderly way. 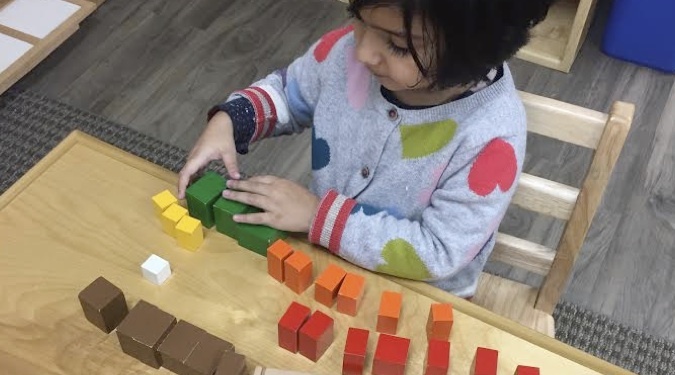 The trinomial cube is an important three-dimensional puzzle that not only challenges preschoolers to find patterns and spatial relationships, but also begins to prepare the child for more abstract concepts of algebra. The blocks’ varied colors and sizes represent the algebraic binomial and trinomial formulas.